"Leveling The Plane Of Existence"
A model of consistency, Los Angeles' ABYSMAL DAWN sprinted out of the starting blocks with 2006 debut "From Ashes" (Crash Music, Inc.), brought a new level of precision extremity with 2008 sophomore album and Relapse debut, "Programmed to Consumed", and continues to demonstrate the science of quality control with new album, "Leveling The Plane Of Existence". The striking Pär Olofsson artwork, the socially/politically insightful lyrics, and the deft mix of traditional death metal savagery and memorable songwriting are all here, just as one would expect from one of America's better DM acts. 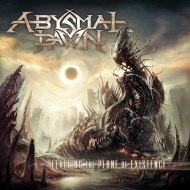 On "Leveling the Plane of Existence", ABYSMAL DAWN takes the riff-centric, often thrashy style of Swedish-esque death of "From Ashes" and balances it with the intricate, more extreme USDM style of "Programmed to Consume". 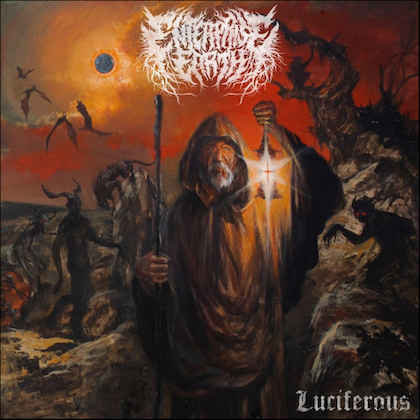 The result is a dense riff sound and somewhat less technical approach that still makes each track distinct and, as always, catchy in a relative death metal sense. After a well conceived piano led introduction called "The Age Of Ruin", the album moves into "Pixilated Ignorance", the kind of meticulously played, lethally concise song that reminds of both KRISIUN's newest works and some of the material from "Programmed To Consumed". Coincidentally, KRISIUN guitarist Moyses Kolesne solos on the track, though it certainly contributes to that extreme Brazilian vibe. 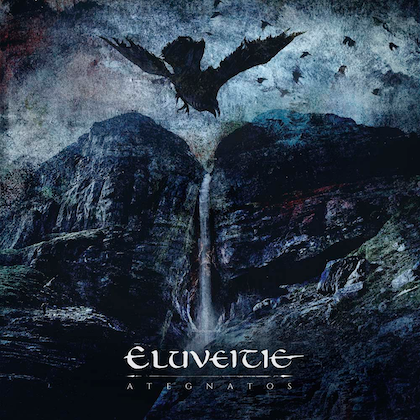 The deep and intelligible growls, alternated with well placed shrieks, of vocalist/guitarist/songwriter Charles Elliott, not to mention his soloing, again proves to be one of the band's strengths throughout the album. The pacing and flow of the album is varied and never allows time for boredom, as each compositional turn is designed to ward off boredom. The mid-tempo material, such as "In Service Of Time" and especially the swampy riffed MORBID ANGEL crunch with uniquely ABYSMAL DAWN chorus of "My Own Savior" exemplify those smart compositional variances. The expansive riff and up-tempo attack that collides with a more controlled, notable chorus on "Rapture Renowned", which features guest soloing from Kragen Lum (HEATHEN, PROTOTYPE), is representative of the method employed for the album as whole. Album closer "The Sleeper Awakens" departs from the norm in a significant way, the seething and somber characteristics — including the whispered vocals on the verse — of the six-minute-plus track approaching latter-day NOVEMBERS DOOM in a vague sense, though in a way that is distinctly ABYSMAL DAWN. 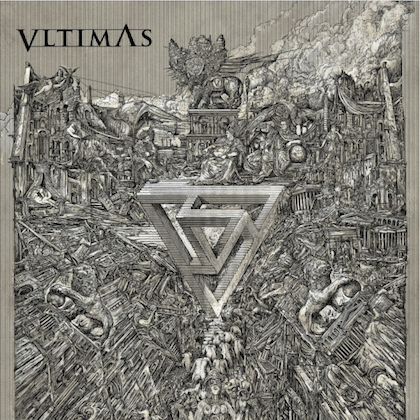 In the way of highlights, the title track, which features a great, almost epic riff and another quintessential trio of ABYSMAL DAWN attributes (concision, lethality, and hooks) is "Manufactured Humanity". Those two and the aforementioned "Pixilated Ignorance" are standouts in a vein similar to the catchy "Walk the Path of Fire" and the stylistically definitive title track from "Programmed to Consume". It is not that ABYSMAL DAWN has reinvented USDM nor was that ever the point, as Elliott readily admits. They do however take a tried and true form and continually breathe new life into it, while always making sure that the songwriting is more than up to snuff. As to whether "Leveling The Plane Of Existence" betters what was accomplished on "Programmed to Consume", the contest is a close one. At this stage of the game I'd probably give the slightest of nods to "Programmed To Consume", which may have as much or more to do with the time I've spent with the former since its release than any kind of superiority in songwriting. Either way, it is close enough to be rather insignificant. One thing is for certain, when it comes to USDM, ABYSMAL DAWN has established itself as a premier act.